Women's empowerment and gender equality are issues that have been gaining more attention in the recent years by many sectors such as media, government divisions and society in general. The buzz around these topics is very positive since discussions are always a constructive and crucial part for their progress and implementation worldwide. However, discrimination and violence are still current problems faced by many girls and women. Mexico is one example of a country where the challenges are still on. According to the United Nations Entity for Gender Equality and the Empowerment of Women (UN Women), the country has made important improvements in what concerns to these issues, but still, faces a divergence between what is stated in the law and the actual practical implementation of it among its society. Where the government cannot support all society and the law still needs to be more appreciated by the citizens, organizations like Mariposas - Mujeres Cambiando El Mundo plays a fundamental role. Founded in 2012, the organization is located in central Mexico and has programs in the states of Puebla and Tlaxcala. An expansion is also on their plans, as soon as they have more capability of it. Mariposa, in Spanish, means butterfly - a symbol of transformation because of its metamorphosis from being a caterpillar until becoming a gracious winged animal. This metaphor perfectly summarizes the work of Mariposas: to offer educational programs for women from diminished communities in order to enable them to break the cycle of poverty caused by a restricted access to educational services and the inadequacy of educational opportunities. Many girls in the rural parts of the country are not able to finish middle or high school, and attending college is commonly a distant dream. To change this reality, the organization works with four distinct types of programs in order to assist their communities. Their method supports their public but also keep the girls engaged with society, so they can give back what they learn from the organization's programs or from formal education. 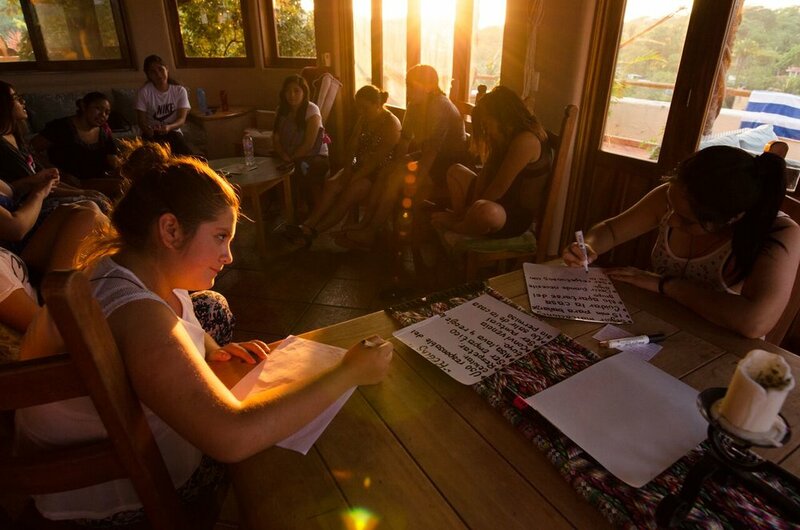 First, the young women participate in a week camp, that consists of empowerment activities. After that, they join a club that allows them to put into practice the skills learned at the camp at their neighborhood. 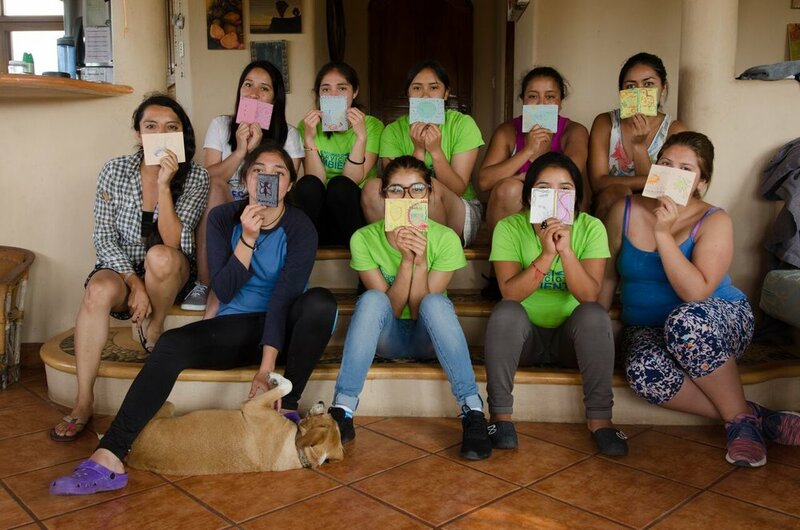 The girls that receive scholarships must also be a positive role model for others by planning and implementing a project that is in accordance with Mariposas principles. Additionally to that, the Environmental Service Adventures program - for former camp and club participants that are active in their communities - allows them to comprehend environmental issues outside of their hometown. Canadian-based photographer Siddhi Jatania recently traveled to Mexico to capture the work of Mariposas. She joined one of their programs and says that the best part of it was the organization's connection with the locals. 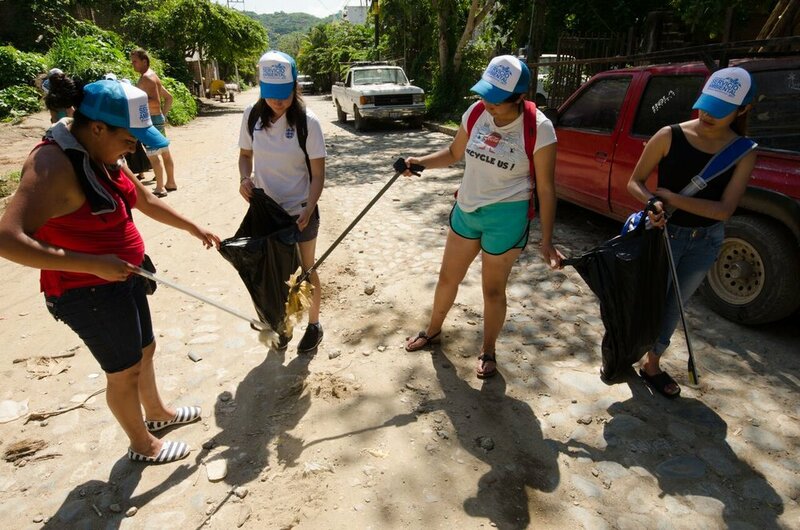 "They organized a beach clean up drive collaborating with people in Sayulita (at the Pacific coast). Mariposas also volunteered at Entre Amigos in San Pancho (at the central Pacific coast) by teaching kids about environmental awareness and responsibility through arts and crafts and other different activities", she stated. Jatania explains that breaking the cycle of both perspective and perception about themselves in terms of their role and importance to uplift the society is a big challenge but also an enormous reward. "Their relationship with themselves and the world around to pursue higher education, being aware of all the possible difficulties a woman could face on daily basis and to acquire tools and skills to overcome and go beyond them", are some of the factors that the photographer pointed out. "They are the real change makers and their own super heroes. This journey of being aware of their true potential was very well done through conducting different kinds of activities and seminars during the trip. The result of this is that when you educate a woman, you educate an entire family!" To learn more about Mariposas work and to support them, please click here.